Second Chances Girl - a Miami family and lifestyle blog! : Wanna Be A Baller! 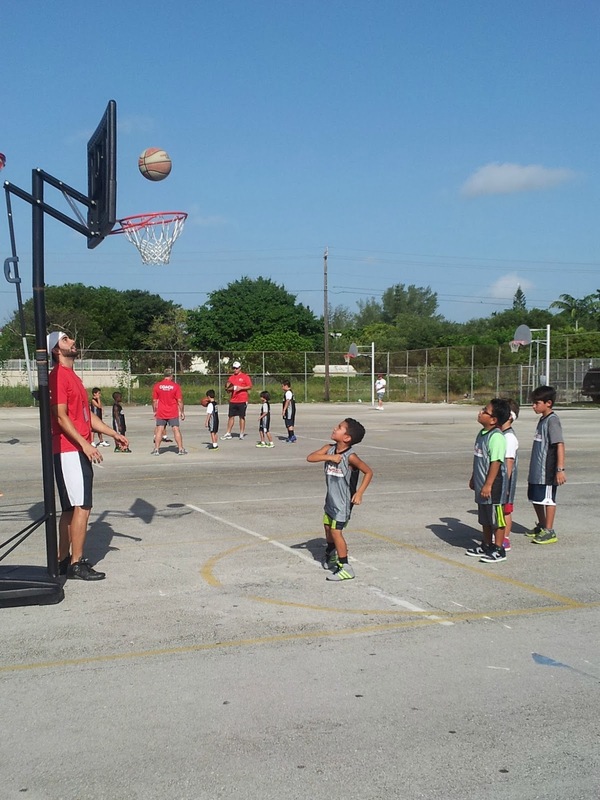 On Saturday, Adrian officially started basketball at i9 sports. He loved every minute of it. At first, he was a little nervous since he had never really played before, but he caught on quickly and tried so hard to play well. Since it was the first time, they warmed-up, went over some drills and then played a short 10 minute scrimmage against another team. They play their first game next Saturday. 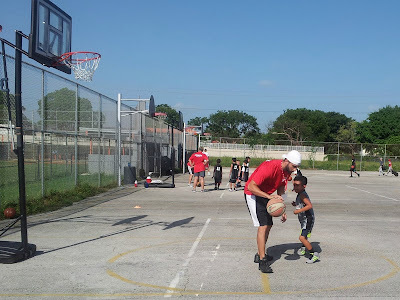 Yes, JC is once again coaching him. This is JC's favorite sport so he was very excited to teach a new generation the joys of basketball. Adrian seemed really interested (not like soccer, where he was a little bored) and even practiced dribbling when he got home. 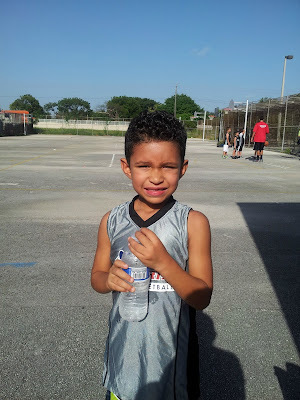 I was a super proud mom and yes I was already picturing him in a Heat jersey! 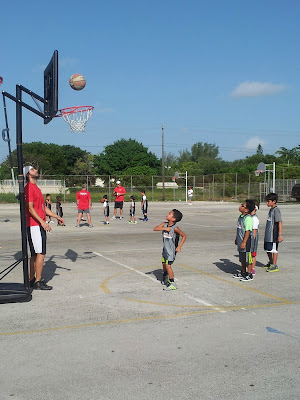 Do your kids play basketball? Any tips for this newbie basketball mom?